I always find traveling long distances a struggle to keep myself occupied. Normally, I entertain myself with games such as the A-Z game – it’s super easy. You start with A, and you look at signs that have words with “A” – At, All and once you find the word, you move on to the next “B” – Begin, Bare. Being in Australia, there’s not a heck of a lot of signs, so instead I’ve ‘compromised’ which is something I hardly ever do and have been known to drive around the city determined to find a Z before getting home… But, this time.. I didnt have to be entertained. 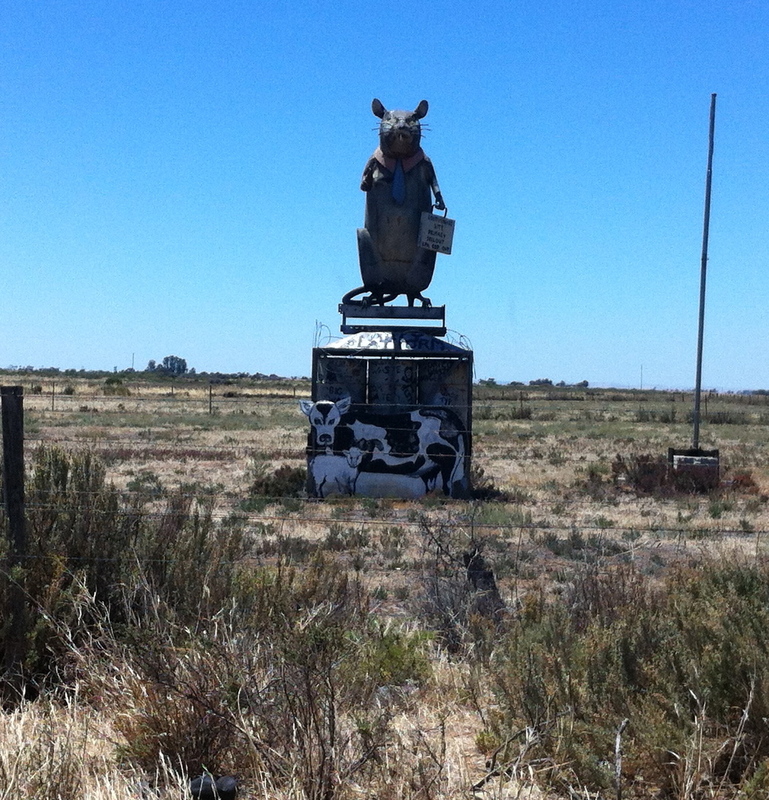 I knew that in 200k, I would stop at Gnomesfarm, South Australia. 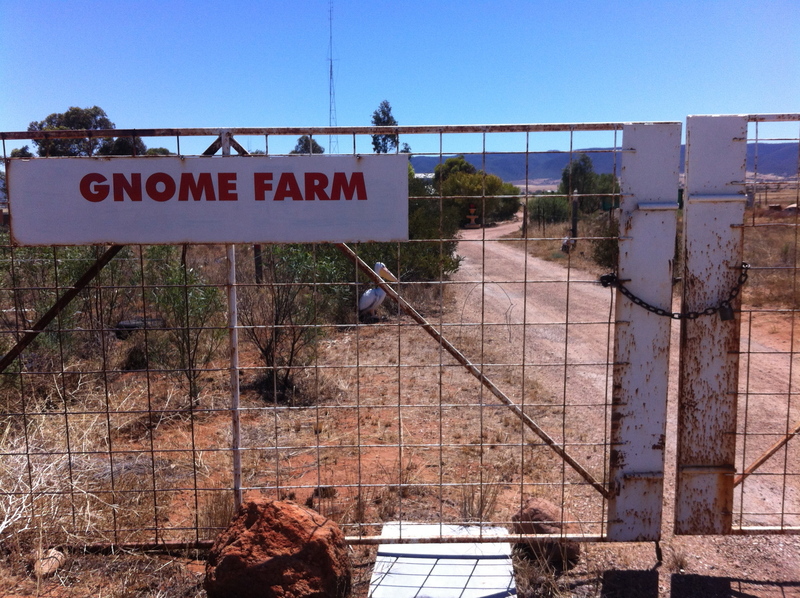 I found this little beauty while traveling to Adelaide a few weeks ago, and was determined to meet the guy who moved from Sydney to his very own Gnome Farm, South Australia. 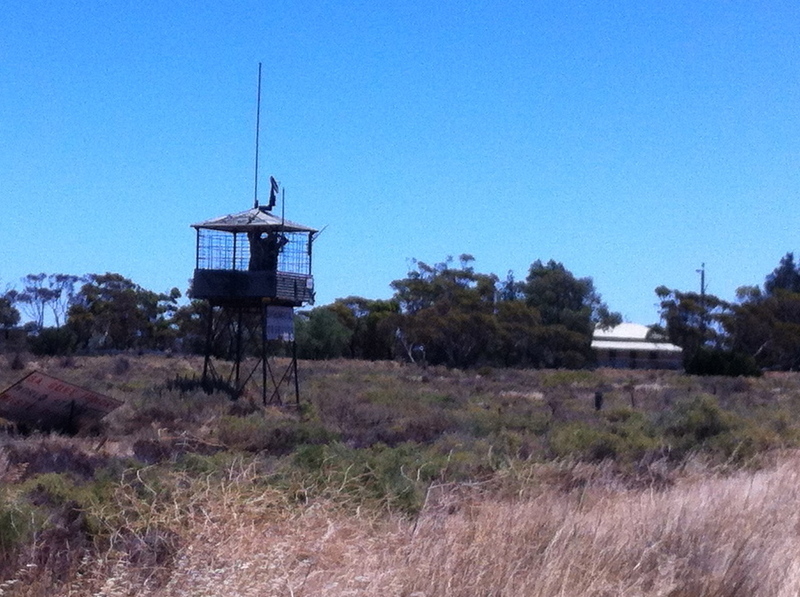 I’ve been to Gnomesville, Western Australia, so I wanted to do a bit of a comparison between the two, but as fate would have it… the Gnomes Farm wasn’t open. I’ll blog more about both in a later blog, when I can get to the Gnomes Farm when they’re open, but in the mean time, here’s a LINK to the Time article about the place. 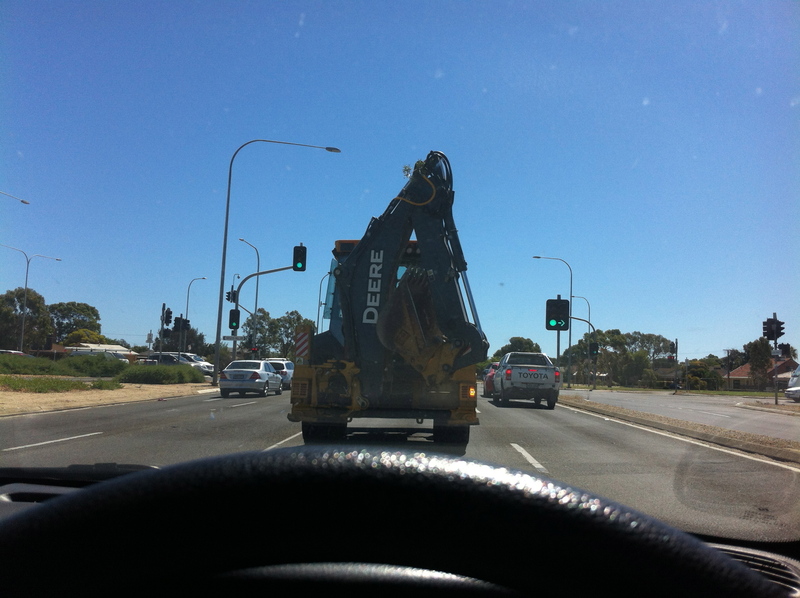 Luckily driving to Adelaide is pretty enjoying. This is an actual inland salt flat – It’s pretty far from the coast and i reckon that this salt seeps though the ground and ends up here. South Australia was at one time under water and many shells and fish fossils have been found around the area. You might be able to see the little tractors working away if you zoom in. Hungry? 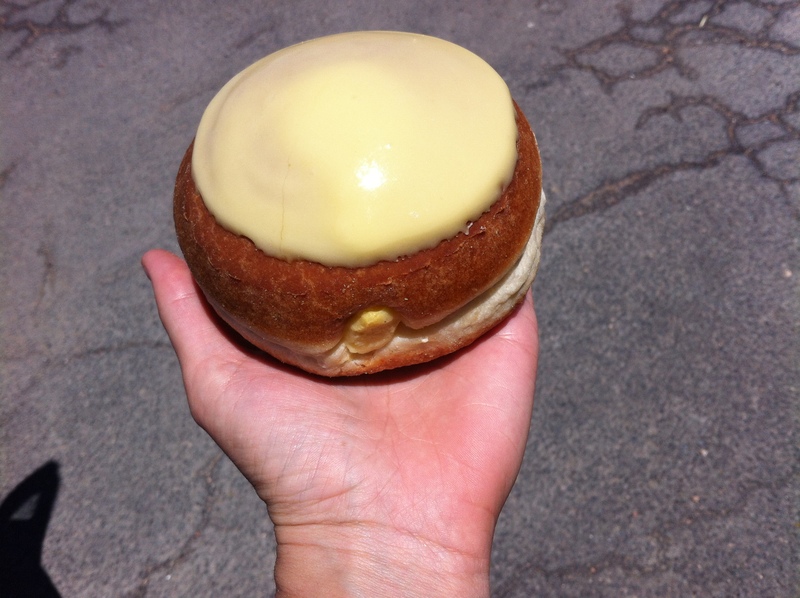 I wasn’t after I ate this beast of a doughnut. A few of you who subscribe to Taraustralis on Facebook has asked me what flavour this is… um… I guess my best description would have to be ‘yellow.’ It looked and tasted yellow… the top was way too sweet for my newly Aussie tastebuds, but if I was still an American Foodavore, I’d say it was de-lish. I’m not really sure what this one is in protest of.. at first glance, it looks like two safari guides with guns are staring at you, but after a quick U-turn and a staring them down for as long as they were staring me down.. I figured that they were just mannequins. 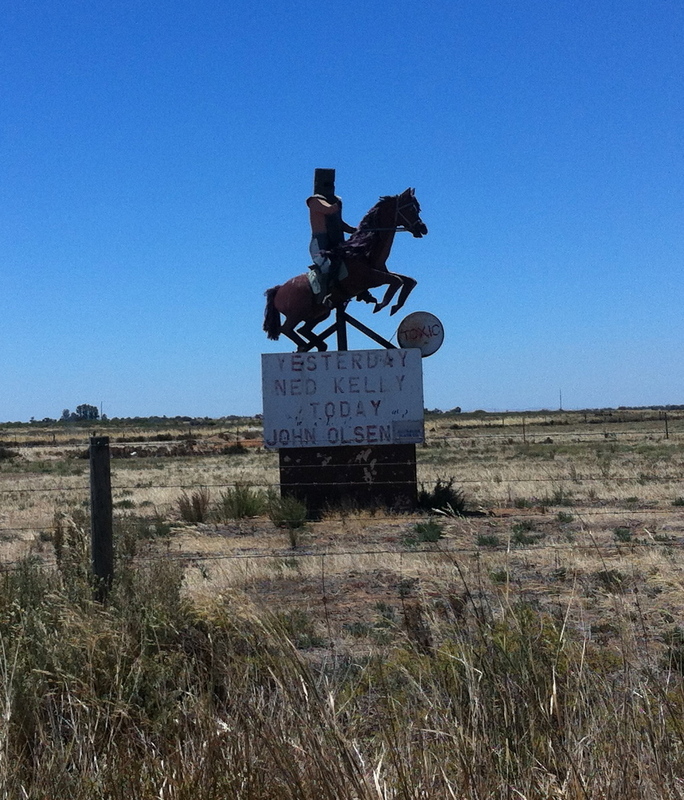 Nothing like good ol’ Ned Kelly Bush art! And he was recently buried – again… 133 years after his hanging. You can read about that HERE. I’m not too sure what the cow, sheep and rat stands for.. so I’ll leave that up for your interpretation. 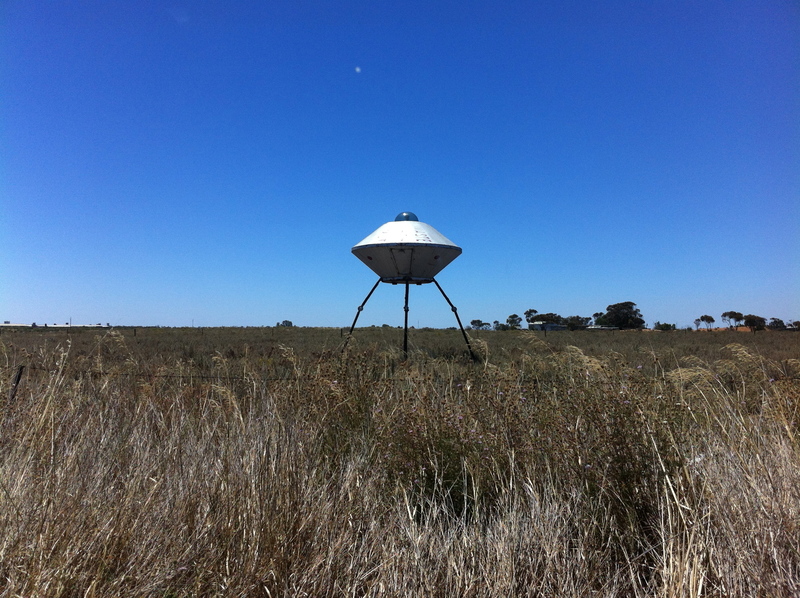 UFO SIGHTED in South Australia! Previous Previous post: The easiest way to lose your finger! These iconic Australian “attractions” are mostly located in quirky little outback towns. I have travelled extensively throughout the world and I believe the outback towns of Australia are so unique and filled with wonderful, eccentric characters that you find nowhere else. Truly, there are no little towns in the world like Aussie outback towns especially in outback NSW, Queensland and Victoria.